Sony A5100 successor rumored specification surfaced today and according to latest rumors the upcoming camera will have same sensor as of Sony A6300, selfie touchscreen so that you can touch and shoot ur selfie in no time. And enhanced wireless connectivity will allow you share you fav images seamlessly. The camera won’t have a viewfinder to cut down its cost. 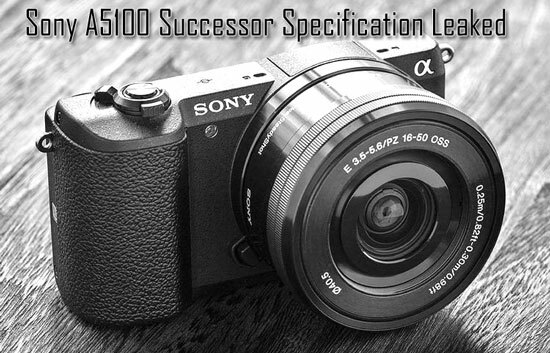 The name of the camera is not confirmed yet, but there are two options only — > If Sony move chronologically then A5100 successor will have A5200 name and if they copy the style of A6xxx series then it will have A5300 name. Just few days ago we have published that Sony A5100 successor is not coming soon and the biggest reason behind the delay of the camera is 2016 Komamoto earth quake. We can hope its announcement on Q4 of 2016. Sony A5100 Successor Delayed ? I was looking for a excellent mirrorless camera, should I wait for Sony A5100 successor ? Only thing missing is the external microphone.